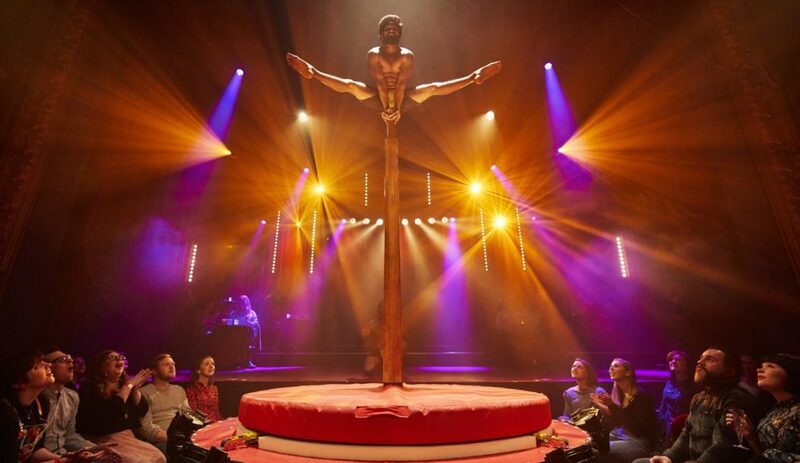 The La Soirée circus is back in town to kick off another London epidemic of festive filth, following a rather smug upgrade: in 2016, this frankly mental troupe of acrobats, comics, puppeteers, singers and dancers pitched up in Leicester Square’s Christmas tent but this year, they’re in the Aldwych Theatre. The circus round remains, with seats radiating from it. This includes the auditorium’s stage, so if you’re willing to pay a bit more these seats include tables, waiter service and pretty much guaranteed participation with the acts. 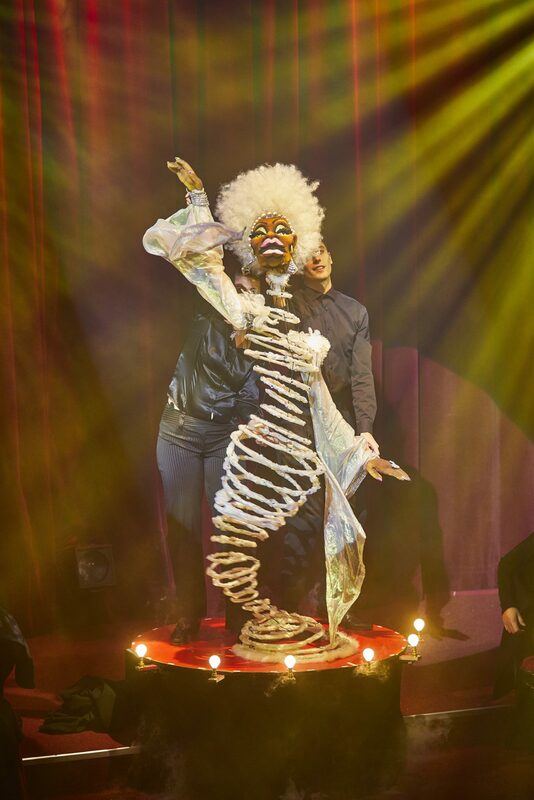 This whole setup will jar slightly if you’re either expecting a proper West End or circus experience, but there’s certainly a festive sense of occasion in enjoying a circus show in such an elegant setting. Another departure from West End protocol is the freedom to go to the bar at any point during proceedings (there’s still an interval), but I challenge anyone to be able to tear themselves away from such a thrilling pick ‘n’ mix of spectacles. Careering from the sublime to the downright childish, these spectacles don’t take any prisoners: attend with an open mind and prepared for potential humiliation, and you’ll have a ball. Highlights include the slightly disturbing banana segment (I laughed until my face hurt), a sexually aggressive Spaniard on roller skates, a muscled trapeze artist swinging terrifying close to, well, everything, and beautifully choreographed aerial work which perfectly exploits the round space of the stage mouth. The easily offended and anybody who dislikes staring at barely-clothed attractive humans should steer well clear, but beyond this I can’t think of any other section of society who wouldn’t thoroughly love La Soirée. For a moderately priced evening of unchallenging, riotous entertainment, this one’s a Christmas no-brainer.